I recently had the opportunity to watch my children, and many others, participate in Jedi training. Jedi training included being introduced to the light saber, having the proper attire and practicing offensive and defensive maneuvers with the light saber. The instructor, Lady Skywalker, also spoke of how Luke had continued training by Master Yoda even after becoming a Jedi. Similarly, attorneys are required to continue their training. Each year lawyers are required to have 12 hours of Continuing Legal Education (CLE), including at least one hour of Ethics. Typically lawyers attend a seminar or two, per year to receive their credit. I frequently present at these seminars. I routinely speak on Family Law and have presented to the general public, lawyers and judges. I have conducted seminars aimed directly at other lawyers, training them on how to handle divorces, custody actions, and contempts in Mississippi. I have presented at “Know Your Rights” seminars on behalf of the Mississippi Volunteer Lawyers Project and the Mission First Legal Aid Office. I have presented at Guardian Ad Litem (GAL, appointed attorney to represent children) training sessions on how to perform Child Custody Evaluations and how to prepare a GAL Report. To excel at what you do you have to not only be competent, but to continue to get better. I am committed to this by frequently and routinely speaking and presenting at seminars and training sessions throughout the state on Family Law. I am aiming towards being a Family Law Jedi. 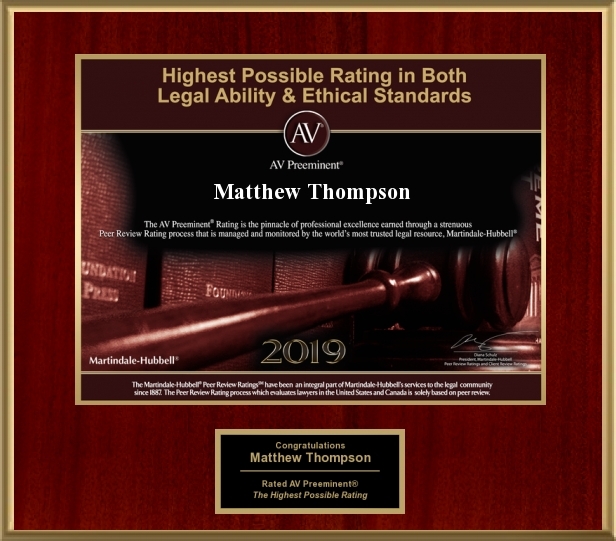 Matthew Thompson is a family law attorney that is not afraid to say “I don’t know,” but he will also find out the Answer! If your case needs a family lawyer that keeps up with the law and current changes in the law please contact Thompson Law Firm.